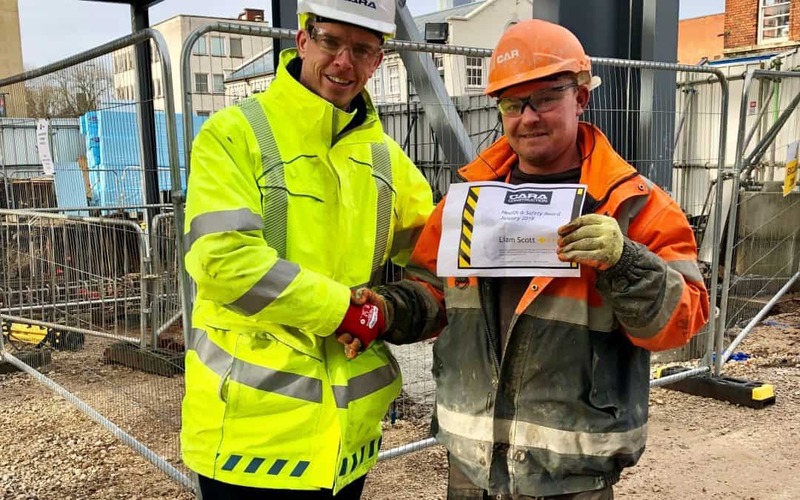 Congratulations to Liam Scott, Januarys’ winner of the Cara Construction Health & Safety Award who has been presented with a £50 gift voucher by Cara Group SHE Manager, Paul Grimes. Liam was nominated by his Site Manager for working to an exceptional standard of Health & Safety, and for continued due diligence with regards to plant and pedestrian interfaces on site. This monthly Health & Safety award has been established to encourage all employees to work safely on site.